How to Check Aegon Life Policy Status? Aegon Life Insurance Company is one of the most trusted and leading insurance companies in India. The insurance company is known to boast of a diversified insurance portfolio and caters to different needs of its customers. Aegon Life Insurance, like many other insurance companies, understands the power of the internet and how it can be beneficial in order to provide a smooth service to its customers. 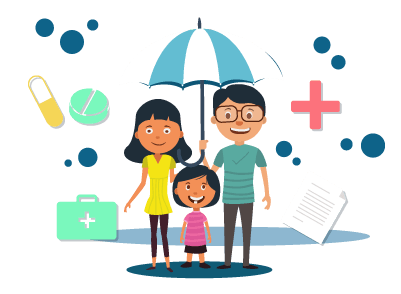 If you are a customer of Aegon Life Insurance, you can be sure that managing your policy is extremely easy and hassle-free in nature. We will look at some of the ways through which you will be able to manage your policy as per your convenience. Visit the official website of Aegon Life Insurance Company. Near the search box on the top right-hand side of the page, click on the icon. Click on Customer Log In. You will be directed to a separate page. Enter your user id and password to enter the portal. In case you have forgotten your user id or password, you can use an alternative method to enter the portal. All you have to do is enter your policy number, date of birth, or the date on which your policy was issued, or the name of the nominee. You can then enter the portal. Enter the code given for security purposes. Scroll down slightly, you will find the New User section. Click on Register Now. You will be directed to a new page where you will have to enter your policy number, the date on which your policy was issued, and your date of birth. Click on proceed. You will be then asked to create a user id and password. Follow the steps accordingly and you will be able to create a profile which you can use to log in to the portal. In case you forget your password, there are two processes that you can use in order to set a new password. Under the Existing Customer section, click on Forgot Password. Enter your policy number and date of birth. Click on Get Details. You will be sent the details to your registered email id and mobile number. Click on Request a New Password. Enter your username or the email id. Click on Email new password. You can then log in to your email account and get the new password for yourself. You can call on the number 1800-209-9090 in case of any query. You can also send a mail to the email id customer.care@aegonlife.com in case of any policy-related query. Call the Toll-free number 1800-209-9090. Choose your language which is either English or Hindi. If you are an existing customer, select the IVR option 2. Choose the IVR option 2 if you wish to make a transaction on your policy. Enter your personal T pin number. You can then talk to a customer executive agent who will help you out with your query. Hence, these are some of the methods that you can implement in order to not only check the status of your policy but to inquire regarding other services as well. All you need is a secured internet connection and a smartphone or a laptop, and you can manage your policy just the way you want as per your convenience.